*articles may contain affiliate links* (This post, Disney on Ice Pittsburgh, includes links to Social Toaster, the promotion community for this event.) 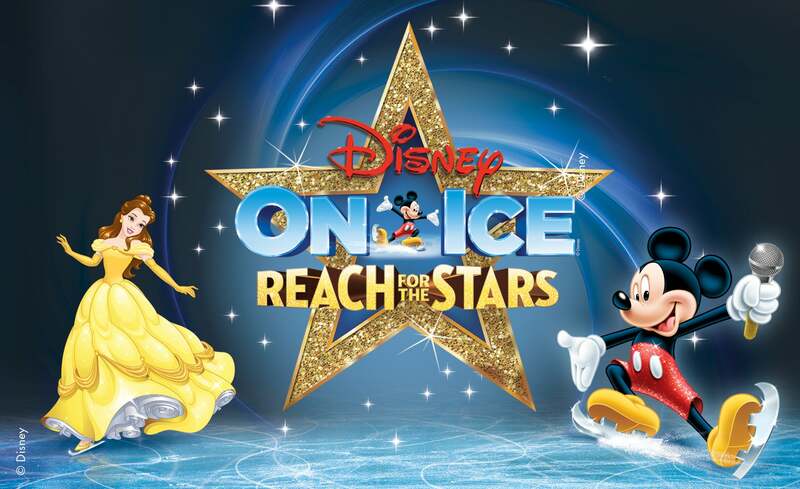 Disney on Ice is bringing their Reach for the Stars show to Pittsburgh in one month! It’s been a few months since Disney on Ice came to Pittsburgh, and they’ll be back in February to bring their Reach for the Stars show to PPG Paints Arena. Mickey Mouse, Minnie Mouse, Donald Duck and Goofy set the stage for a star-studded talent extravaganza as Disney On Ice presents Reach For The Stars. Unleash the magic with royal sisters Anna and Elsa and the hilarious snowman, Olaf, as they sing captivating songs like “Let it Go” and “In Summer.” Life is the bubbles when Sebastian strikes up his hot crustacean band and the Daughters of Triton make a splash as they introduce Ariel in an ‘80s pop montage. Get tangled up with a chorus of harmless hooligans when they get a visit from the spirited Rapunzel and her charming ally, Flynn Rider, on their journey to see the floating lights. Relive a tale as old as time when Belle opens her heart to new adventures as the Beast’s enchanted objects take center stage for a dazzling skating spectacle. You never know what unforgettable feats your whole family will discover when Reach For The Stars debuts in your hometown! Full details available on PPG Paints website. Parking: Park in PPG Paints Arena’s attached parking garage or on the surface lot across the street. Interested in earning points which can win your tickets to Disney on Ice Pittsburgh? Join Social Toaster and share about the event on your social networks for points! This entry was posted in Pittsburgh Fun and tagged Disney on Ice, February 2018, PPG Paints Arena. Bookmark the permalink.